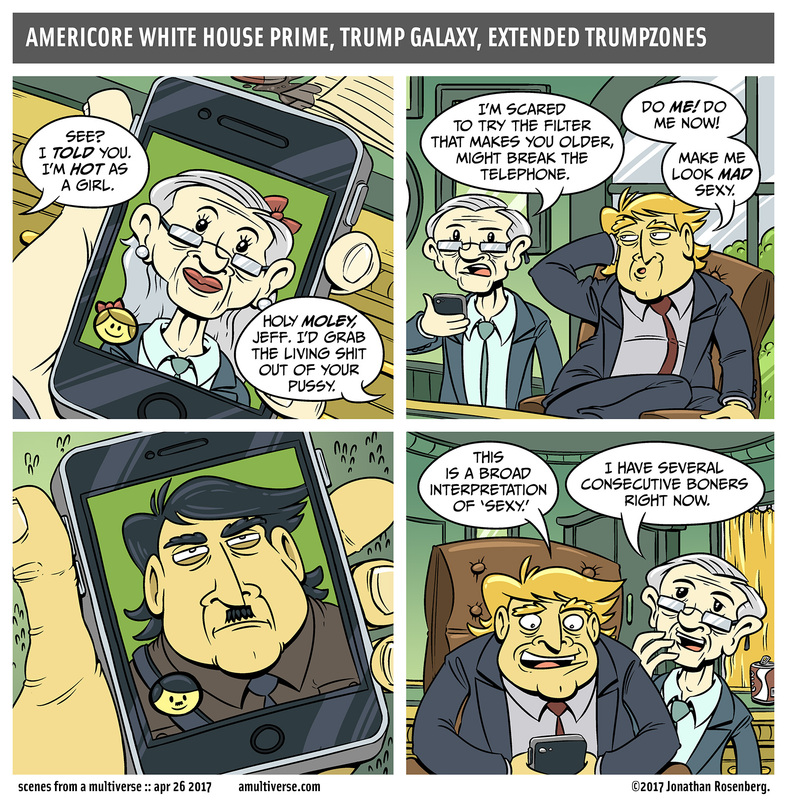 Have you heard about that new face changing app everyone is using? Me neither. 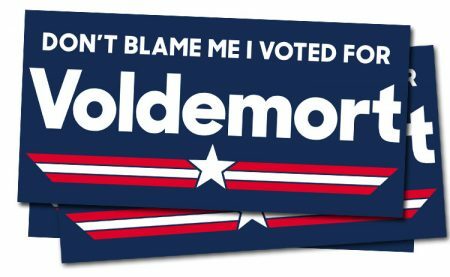 Get yerself some “Don’t Blame Me I Voted For Voldemort” shirts and bumper stickers. $1 from each shirt and sticker pack sold goes to the ACLU.